Giving you a huge range of in-depth study information to help you understand the Bible, with striking section breaks and colour features throughout. 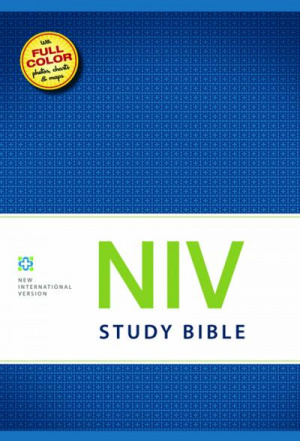 The NIV Study Bible uses the fully revised and updated text of the New International Version and is renowned for being both accessible and accurate. The NIV Study Bible notes are the work of the same translation team that produced the NIV Bible text. Special interest areas, such as character study, archaeology and personal application, are coded for easy navigation. The words of Christ are featured in red. This 2011 revised and updated edition of the NIV includes three main types of change, taking into account changes in the way we use language day to day; advances in biblical scholarship and understanding; and the need to ensure that gender accurate language is used, to faithfully reflect whether men and women are referred to in each instance. The translators have carefully assessed a huge body of scholarship, as well as inviting peer submissions, in order to review every word of the existing NIV to ensure it remains as clear and relevant today as when it was first published. 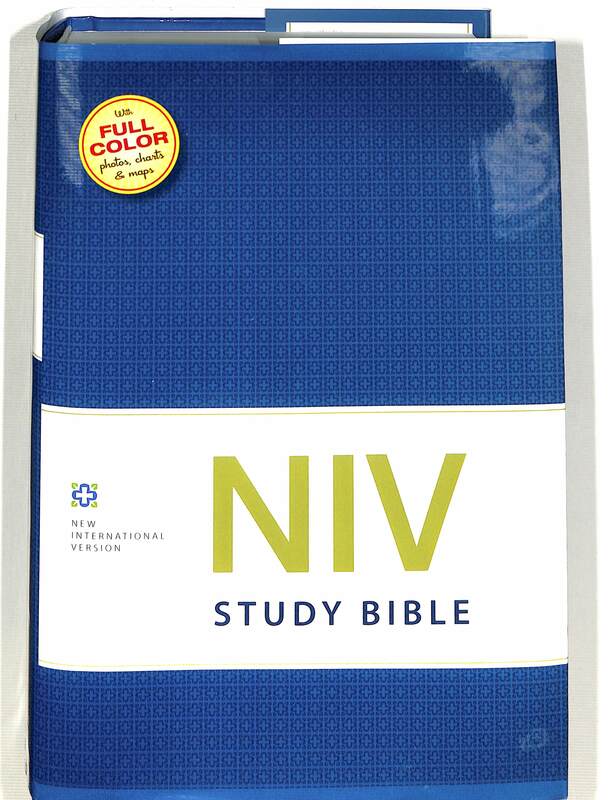 NIV Study Bible - Hardback by New International Version was published by Hodder and Stoughton in February 2012 and is our 2579th best seller. The ISBN for NIV Study Bible - Hardback is 9781444702774. Be the first to review NIV Study Bible - Hardback! Take a peek at some articles related to NIV Study Bible - Hardback. Got a question? No problem! Just click here to ask us about NIV Study Bible - Hardback. I am confused that I can buy this Bible from you on this site at a cost of £39.99, or from you via the Amazon UK website for £33.50 plus £2.80 delivery - a total of £36.30. Why the price discrepancy? A:A lot of Amazon pricing is due to the environment of Amazon marketplace, in which different factors weigh in on the pricing. Thank you for using the Q&A Forum. I don't want American spelling! 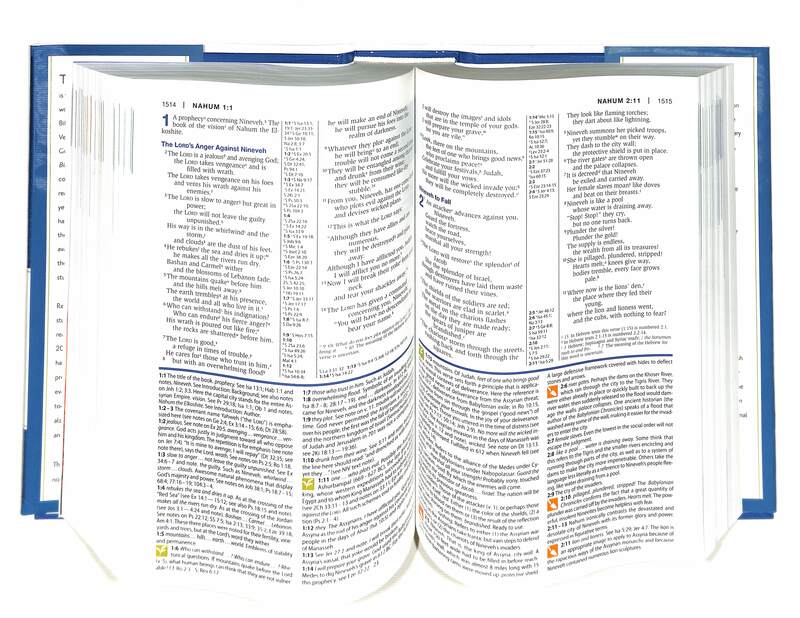 How many maps are in this NIV Study Bible, and how large are they please? A:This Bible contains 78 full-colour maps of varying size, ranging from quarter-page to double-page spread. Does this translation use inclusive language? A:Yes, this study Bible uses the same inclusive language as the Anglicised version. Does this new study Bible have British text? A:No, the text is not Anglicised; it features American spellings. How big is the type in this Bible? A:This NIV uses a 10 point font size in the main body of text, and an 8.5 point font size in the notes. Does the new NIV Study Bible include a CD ROM for downloading on to computer (as with ESV Study Bible)? A:No a CD-Rom is not included with this particular Bible.